While much of the nation will struggle with wintry weather, South Florida remains dry and warm through the weekend. Shower chances will be very limited for the next few days, popping up briefly on Wednesday and Thursday. 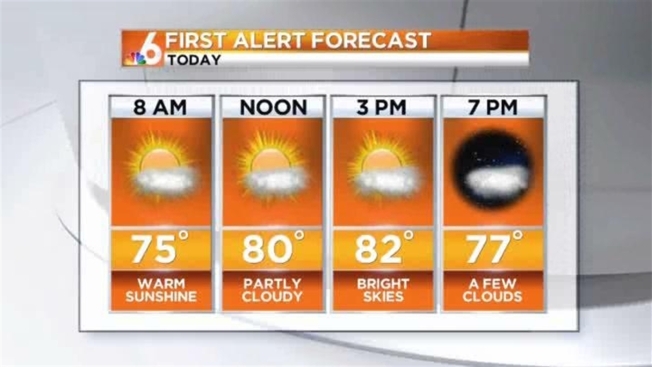 Tuesday will be partly cloudy with highs around 82. Lows will drop to around 71 Tuesday night. Wednesday could see a few showers with highs again in the lower 80s. Temperatures will climb into the lower 80s each afternoon for the rest of the week, running about five degrees above average as ocean breezes dominate.